Often referred to as the Pearl of the Orient, the city is famous for its lovely beaches and is a perfect place for honeymooners and water sport enthusiasts. The first Planet Hollywood holiday resort to open outside the U.S. If you been to any top beach resort or most popular hotel in Goa you will agree that its always about the stay experience during your holidays that you take away with you when you pack bags and return home. We at Planet Hollywood beach resort as one the most famous and elite beach resort in Goa know that the stay experience is the most important of all when it comes to holiday or vacation with family. 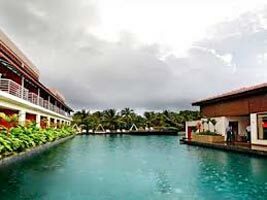 Planet Hollywood being one of the best and popular beach resort in Goa treats everyone with Royalty and gives them many reasons to remember their stay. It is Indias first ever adaptation of Hollywood Planet beach resort in Los Angeles it has class par excellence and truly represent taste of LA. Right from the lobby to gardens and swimming pools you feel amazed by its true beauty. The interior wont let you take eyes off and you feel surreal in the atmosphere. The pool side tents are exclusively for those who enjoy the company of solitude and nature. The Maharani Suite stands to its name and makes you feel like royal!! 2 Kids under 12 Complimentary with existing bedding. Extra bed charged will be INR 900 inclusive of taxes per night. The above mentioned room rates are inclusive of all presently applicable taxes, however any subsequent government levies will be charged additionally. Transfers : Complimentary pick / drop - Goa international airport , Margao railway station & Margao KTC bus station are included for bookings only with APAI meal planAny Air or train fare. Monument fee / Camera fee. Cost does not include any other thing apart from the inclusions. Holiday Highlight The first Planet Hollywood holiday resort to open outside the U.S. Best Time to Visit If you been to any top beach resort or most popular hotel in Goa you will agree that its always about the stay experience during your holidays that you take away with you when you pack bags and return home. We at Planet Hollywood beach resort as one the most famous and elite beach resort in Goa know that the stay experience is the most important of all when it comes to holiday or vacation with family. 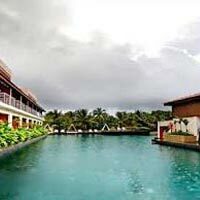 Preferred months : January, February, March, April, September, October, November, December Description Planet Hollywood being one of the best and popular beach resort in Goa treats everyone with Royalty and gives them many reasons to remember their stay. It is Indias first ever adaptation of Hollywood Planet beach resort in Los Angeles it has class par excellence and truly represent taste of LA. Right from the lobby to gardens and swimming pools you feel amazed by its true beauty. The interior wont let you take eyes off and you feel surreal in the atmosphere. The pool side tents are exclusively for those who enjoy the company of solitude and nature. The Maharani Suite stands to its name and makes you feel like royal!! 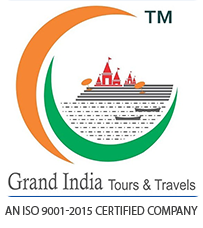 Grandindiatrip.com reserves the right to change/modify or terminate the offer any time at its own discretion and without any prior notice. We reserves the right to change/modify or terminate the offer any time at its own discretion and without any prior notice. A Surcharge may be levied by the hotel during National Holidays/Festive period/Extended Weekends, New year etc.